Actor-director Parthiepan's Koditta Idangalai Nirappuga (KIN) audio was launched yesterday (4th December), which was a star-studded event. It was not just an audio launch, but also a felicitation ceremony for Parthiepan's guru, K.Bhagyaraj. The event saw many directors including Bharathiraja, Shankar, Vikraman, Lingusamy, Vasanth, actors Nassar, Sivakumar, Suhasini Mani Ratnam, Lissy, Rohini, legendary singer S.P.Balasubrahmanyam and many others turning up for the event. We caught up with the captain of the ship, Parthiepan to update about the event and the film. First of all, how did the idea of paying respect to your guru Bhagyaraj sir in the audio launch of KIN strike you? It is actually the other way round. The audio launch was a small part in the felicitation ceremony. He is my guru, who showed me the right path in the industry. He plays a major role in my growth and I wanted to pay him some kind of respect. And that is how the idea struck me. We started the event around 4.30pm which went on for six hours. It was such an emotional event, without any dance, fun or any glitzy stuff. It was a genuine felicitation event and I am so happy many stars turned up for the event. What was your feeling like, when the event happened? It was a very emotional feeling. In fact, when everyone was praising Bhagyaraj sir, I became very emotional. I wanted to talk so much about him, but at that point of time, I couldn't. So, I sent my assistant to speak on my behalf. I have requested Bhagyaraj sir to direct a film for me, under my production. I don't have enough money to produce the film now, but I am sure Koditta Idangalai Nirappuga would be a successful film. With the collections I get for KIN, I could buy a new house, or get my daughter married, but I want to do a film with Bhagyaraj sir. Will Koditta Idangalai Nirappuga release on the Christmas weekend as planned? Or will there be any change in the release date? Yes, we are trying our best to release the film on 23rd December, but nothing can be confirmed as of now. There is a song shoot tomorrow (6th December) under Prabhu Deva master's choreography. Post production works will follow suit and only then we will get an idea, but as of now, we are targeting the Christmas weekend. 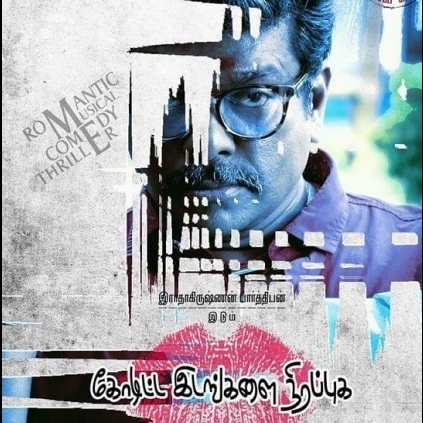 Best wishes to Parthiepan for the success of Koditta Idangalai Nirappuga and all his future endeavors. Anirudh brings back this energetic man after 7 years, for AK57! How have Venkat Prabhu’s boys done after 10 years? Parthiepan Wishes AR Rahman On His Birthday. Do Not Forget Our Native Heroes! People looking for online information on Bhagyaraj, Koditta Idangalai Nirappuga, Parthiepan will find this news story useful.